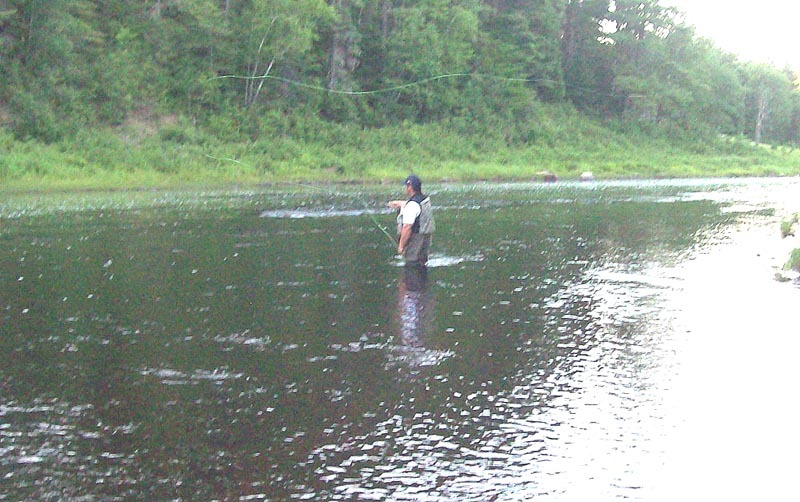 Atlantic Salmon Fly-Fishing on the Miramichi River in New Brunswick, Canada, where the "best" catch "the best"! THIS NEW WEB SITE UNDER CONSTRUCTION BUT WE ARE "OPEN FOR BUSINESS"! The fishing cycle continues. All spring salmon have left the fresh water and the ones that have spent their time at sea are returning. Salmon usually enter the river system in what is known as runs. 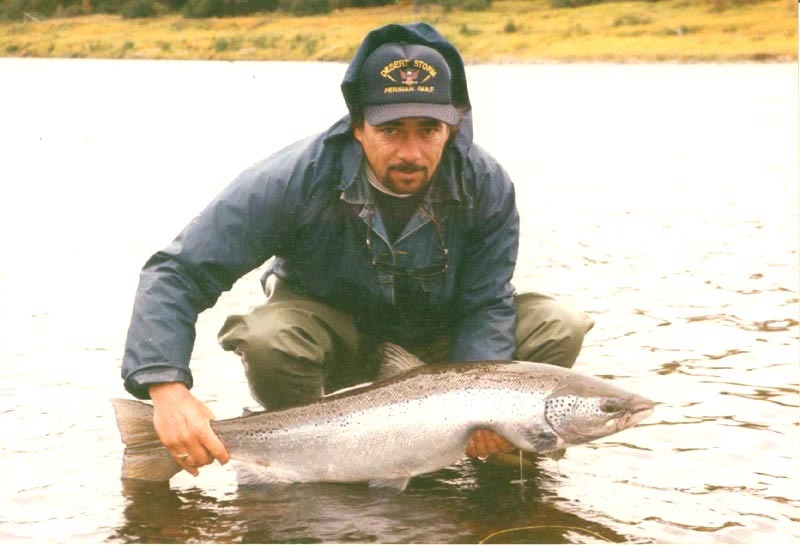 The first run usually begins in June and is usually the largest run with adult salmon varying from 10 to 15 pounds. Followed next by a mixture of grilse (small salmon) 3-5 pounds accompanied by large salmon and finally a fall run, some of which enter smaller tributaries to spawn. If salmon runs are good during the summer, there is an abundance of fish in the streams during the fall. Summer and fall fishing is usually done by wading and casting, using a floating line and smaller flies. If you fish a good productive pool, with the appropriate water conditions and a little expert advice from one of our professional guides, you can hook one of these wild leapers. - Same as above, except for one extra night’s accommodation due to hours of fishing during summer and fall. - We guarantee you the opportunity to fish private fishing pools known to be productive. This means that no other persons are allowed to fish these pools during your stay with us. 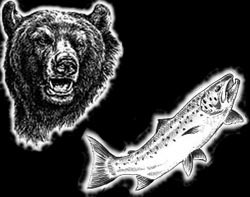 - Guiding service is three sportspersons to one professional fishing guide at this time of year. One-on-one guiding service available upon request. - Transportation to and from fishing pools is also included in this package.